Taking place 9am-3pm every other Thursday through epyx’s 1link Disposal Network platform – Sales will be made up of stock unsold through previous online channels and are offered with a competitive start price. Called “Last Chance to Buy” sales, they will be unique among VWFS online sales in being open to all buyers registered with epyx. 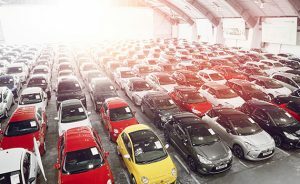 With the diversity of brands within the Volkswagen Group, these sales will contain a wide range of Volkswagen, Audi, SEAT, ŠKODA, Porsche and Volkswagen Commercial vehicles. From selected prestige vehicles through to mainstream stock – the mix of models, age, mileage and conditions will offer something for everyone. Ex-VWFS stock is on average 3 years old, has often been well maintained, with eligible stock offered with a valid MOT. All vehicles are offered with a detailed cosmetic condition report available, high-resolution studio images on eligible stock, and known faults or relevant sales information declared on the vehicle listings. In addition to the competitive platform buyers fees, VWFS also offer a fixed £99 + VAT equalized rate for all deliveries within mainland UK, and delivery from £215 + VAT for Northern Ireland. Vicky Gardner, Head of Remarketing at epyx, added: “We have been working with VWFS on online stock remarketing for more than three years and have developed a range of different sales options for different types of stock and different dealer audiences. “For us, it is all about helping our leasing company clients remarket stock efficiently and at the best price, while helping dealers to find the cars and vans they need. 1link Disposal Network is one of the longest-established sources of trade stock in the UK, offering a large selection of stock from major leasing companies, motor manufacturers and more.